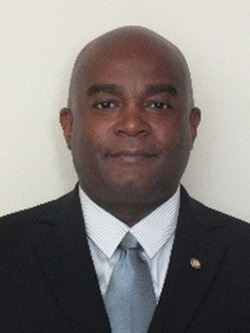 Mr. Michael Harris is the Security Manager of Command Security Services, a Command Group company which provides uniformed security personnel and related services to public and private sector clients. Mr. Harris brings over 30 years of active duty experience with the U.S. Air Force as a Security Forces Chief Master Sergeant. Most recently, Mr. Harris served as the Security Forces Manager for the Air Force’s 9th Security Forces Squadron, managing the security and law enforcement operations for a unit of over 325 military and civilian personnel. Mr. Harris also previously served as the Superintendent for Security Services for the United States Air Forces in Europe (USAFE) as well as Security Forces Operations Command Inspector for the USAFE Inspector General.